Although I did not plan to post anymore, I would like to update my list of Tango events for Milongueros who cherish the "Abrazo" to traditional music. Although some of these events also offer classes and short, improvised demos, the focus is on social dancing. The etiquette of invitation by Mirada & Cabeceo plays an important role as does the respectful interaction of all dancers on the dancefloor. These are traditional Milongas and no place for people who want to show off their newest Sentadas, Montadas and Ganchos. Please stay away, if you don't like dancing in a close embrace! There might be some more Encuentros of that sort, but I only include events that I can recommend personally, because I have been there or because I know the organizers and participants well enough to guarantee for their "esprit milonguero". I‘m a blogger - not anymore! Exactly one year ago, I started blogging. I was planning to write about Tango, my studies and whatever is important to me. This turned out to be one of my most intensive Tango-years ever and the blog contributed to it. Writing about Tango so much kept me from doing other stuff. I even decided to give up my studies. I do not regret this step, but I would have wished to present a more diverse blog. The eternal question: Salon or Milonguero? We have to try harder! Making choices: women‘s active participation in Tango. My personal favourites are the posts in which I wrote about my European Milonguero friends and the great Encuentros for Milongueros. Not just, because it was fun to write them, but because I really want to promote the philosophy of Tango as an embrace. Tango is a social event, an intimate encounter with friends all over the world. And thus very, very dear to me! All in all, I liked blogging a lot. Mostly I wrote down, what I‘ve been discussing with other dancers and phrasing my ideas helped me to substantiate them. And I just love analyzing situations and writing "manuals" (kleine Leitfäden") like this one. I‘m also glad, that I stayed honest and spoke out about what really bothered or moved me. Even when it may have cost me some contracts. Many posts resulted in lively discussions and I got in contact with interesting new thoughts and people. I‘m proud to say, that my blog reached many dancers all over the world. In total, it was viewed over 44.000 times. Thank you all, my faithful readers! But: the blog also attracted the usual crazies and trolls. I will never get over the fact, that someone who does not even know me personally, can hate me so much, that he (or she) will start attacking or insulting me publicly. Very often I was tempted to reply in a likewise rude manner but restrained myself. This nevertheless cost me a lot of energy and time, so they got what they wanted! Such people really can take the fun out of things. Maybe I‘m going to examine this peculiar online-behaviour one day... in case I ever return to Psychology. But for now, I‘m done with blogging about Tango. I‘ve written about everything, that is relevant to me and that is not already covered by other bloggers. I don‘t want to start reviewing music or writing poetry... Others can do that much better.. Also, I will not visit any new interesting Milonguero events coming year - I‘ll just go to the same ones again. Never change a winning team! Just stay tuned. I might be back! What makes a traditional Milonga? - The music is 100% traditional argentine Tango, Milonga and Vals, preferably of the late 20‘s to the late 50‘s. No non-Tango, no Electro-Tango, no non-argentine Tangos, no Tangos that were recorded for Tango shows or for listening. There may be a „Tanda“ of Rock, Chacarera or Salsa, although I would not put it as a DJ. - The music is presented in Tandas & Cortinas with a logical order (e.g. TTVTTM). - The dancers leave the dancefloor when the Cortina is played to sit down and choose another partner. Waiting alongside the wall or at the bar is acceptable, as long as you do not stand in front of seated dancers and disturb their Cabeceo. - There is proper seating around the dancefloor. - People invite by Cabeceo & Mirada and there is light enough to allow for it. - The dancers do never break the embrace. Some might open a little for turns, as in Villa Urquiza style. - People dance exclusively movements, that are appropriate for a social dancefloor: no ganchos, (high) voleos, or any other movement that breaks the embrace or could disturb/hurt the other dancers. Did I forget anything? Do not hesitate to remind me! I'm sure, that there are other postings on the Net, who refer to that question. Links are welcome. Please note, that I do not define GOOD or BAD Milongas. A traditional Milonga can still be an unpleasant surprise. 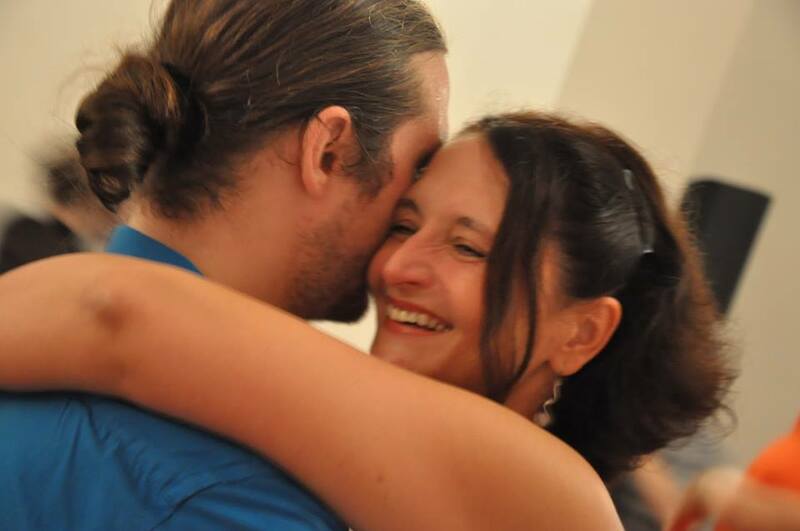 To make a traditional Milonga "good", it also needs good dancers (whatever your personal definition of a good dancer may be), danceable and interesting traditional music, friendly hosts, a good floor, a nice ambiance and much, much more... But that would be a totally different post! In the last few months, I‘ve presented some of my friends. All of them share a vision of Tango as a social encounter, to be danced in a close embrace in deep connection with partner, music and the other dancers in the Ronda. They may not be living in Buenos Aires and most of them are fairly young - but they are real Milongueros. They are nevertheless not as lucky as a Milonguero in BA, who can find a traditional Milonga every evening in his barrio. All his friends will be close and he will never lack opportunities to dance with great partners. Plus: dancers from all over the world will come and visit. Buenos Aires is one big Encuentro Milonguero! The European Milonguero‘s situation is totally different. He/she will find little opportunity to dance in his home town or region, because there are just not enough traditional Milongas - if at all. This is why most of them spend many hours in cars, trains and planes to travel to the next Milonga, Encuentro or Festivalito and meet friends who share their philosophy. This costs a lot of money, energy and time. At home, they try to build up Tango communities by teaching and organising Milongas or bigger events. But this is a work in progress - it takes years! Only few of them make a small income by teaching or DJing - most of them spend far more on Tango, than they could ever earn. And solely by their enthusiasm, traditional Tango has come that far outside of Argentina. I only mentioned some of my closest friends, the ones that I know best and that I can tell authentic stories about. There are many more - some of them thousands of kilometres apart. But this lack of Milongas and friends nearby has been turned into an advantage: distances are crossed, international friendships are formed and great events for Milongueros have developed. Social Tango has become an European phenomenon of a very unique variety. And I‘m honoured to be a part of it! And here I am again: Impruneta! This small town in the tuscan hills is the site of one of Italy‘s most respected events for Milongueros: The Raduno Milonguero organised by Tango Firenze. And it is the place where I am meeting two young dancers, who‘ve been crossing my path repeatedly in the last three years. The first time I met Saso and Alja at a Milonga in Paris, it was Céline, who pointed them out to me. It was September 2008. Céline had danced with Saso and liked it very much. And indeed: my first Tanda with the young Slovenian was very, very nice. He would not do anything fancy, basically just walk - but he had a great musicality and a cuddly embrace. Since then, we‘ve been dancing often as we share a highly compatible musicality, especially when it comes to rhythmic music like Biagi or Canaro. When we dance, it is, as if the music was leading us. You can really not tell, who‘s giving the impulses. Sometimes, we start laughing in mid-Tango, because we just had another magical moment. People must think that we‘re totally nuts! As for Alja: she developed in no time to one of the favourite dancers of my male friends and I can very well understand them. Her soft embrace and calm attention make it a pleasure to dance with her. (I know by own experience.) Also, what I like a lot: Alja is a very understated and serious young lady. She wears almost no make-up or fancy dresses, neither does she use an overdose of decorations. She does not need that to attract dancers! What more can I tell you about my friends? Saso studied mathematics and is now a professor for linguistics at the university of Ljubljana. Alja is a linguist and teaches at Nova Gorica University. Both are highly analytic and you can tell by the questions they ask during class! They have discovered Tango in early 2004 and been taking classes with several teachers: Enrique & Judith, Maria Plazaola, Pascale Coquigny, Thierry Le Cocq, Pablo & Noelia, Jennifer Bratt & Ney Melo. But, like us, they developed most of their technique and ideas by starting to teach and trying to figure out what they do. When they first came to one of our workshops in Ferrara, Italy, they were very relieved to find that we had developed some similar principles concerning circular movements for the communication. This is why I love Tango: You can live in a totally different part of the world and still come to the same conclusions, if you try to analyse body-movements and interaction. Saso‘s and Alja‘s teaching principles are very comparable to ours: basic work on technique and musicality. They have been teaching in Slovenia, Hungary, Italy and Germany so far and I hope, they‘ll be invited to more places in the next years! Apart from „normal“ work and teaching Tango, Saso and Alja travel all over Europe to meet their friends at the Encuentros Milongueros. A Festivalito without the "Slovenian gang" is just not complete! And they even organise one: The lovely and very international Festivalito Rural in Celje, Slovenia. The "embassadors of embrace" and their friends create an intimate event for Milongueros, that I have discussed in an earlier blog. By the way, Saso and Alja come with a group of friends: Blaz Demsar, another young Milonguero, who organizes the "Raduno Rural" in Slovenia. Francesco Bruno, an Italian, who just finished his Banoneon studies in Rotterdam and who co-operates with his friends in musicality classes. And several others, who share their and our view of social Tango. It's always great to meet them! I am very proud to say, that we‘ve influenced the recent development of these two as dancers and teachers. In 2010 and 2011, Alja and Saso have taken several workshops with us, just recently during a week of intensive studies in the south of France. That‘s always a nice opportunity to dig deeper into Tango and friendship. But no matter how much we work with Saso and Alja, they will never simply imitate our ideas without questioning them. Whatever they see and feel, they will surely convert it into something of their own. And this is why we learn from them as well! - Video 1 shows them dancing at a Festivalito in Freiburg. Too old to be cool? My first article on this blog was about men‘s criteria for choosing a dance partner. I pointed out, that there seems to be a general tendency to select young, good looking women. But I also found, that there was a group young Milongueros, who go rather for dance experience and dance with women of all ages. The article caused strong negative reactions by some men and very affirmative reactions by women. Now I made some more observations on the topic „Tango & Age“. One of the great advantages of Tango is, that it does not depend on being athletic or young. Tango is a social dance and people of all age groups can dance it. That‘s great and in my first Tango years, I used to praise the unifying effect of Tango events: young and old people, dancers of different social backgrounds would dance to the same music, visit the same Milongas, be friends, learn from each other... at least in the more „traditional“ Tango communities or Milongas. And even better: In Tango „old age“ seems to be connected to wisdom and dance skills. Maybe this is only a relic of an archaic model of society with all generations living together, but I like the idea. It is nevertheless common knowledge, that young(er) dancers cluster in the big cities with universities and at Milongas that tend to be nuevo-ish. Also Tango Marathons do have a relatively young clientele. It is very understandable, that the „young and beautiful“ band together, sharing the same ideas about music, movement and interaction off the dancefloor. But so far, I only connected this phenomenon to the Nuevo environment. Now I am surprised to find, that a similar process of differentiation seems to be happening in the „traditional“ setting as well. A couple of months ago, a young Milonguera told me about her experiences at a Tango festival. She obviously did not like it a lot, because most of the dancers were using open embrace and focussing rather on big movements than on social dancing. Also Cabeceo and Mirada were difficult. She had heard about an off-festival Milonga organised by some visiting dancers and decided to check it out. But when she got there, she was disappointed: These people were obviously not very good dancers and they were so OLD! She said that last word with a tone of utter disgust that really shocked me. I cannot blame her - she wants to be amongst people of her age. But what became of the unifying effect of Tango and respect of old age in Tango? Does that apply only to old Argentine Maestros and „old Milongueros“ in BA? But there is a general tendency amongst the young people in the „traditional“ environment to cluster. You can clearly watch this phenomenon in Buenos Aires, where „young“ Milongas budded in the last years. There are so many dancers in their early 20‘s... They still meet the other generations at the „Sunderland“ or „Cachirulo“, but do many older dancers visit the new Milongas? And are they welcome? I haven‘t been to BA so often in the last years, that I could judge. Maybe there‘s no reason to worry: A „rejuvenation“ of the Milongas does not have to be a result of the „not-so-young-ones“ being rejected. It might just be due to the fact, that more young people like to dance in close embrace and that‘s good. And if they form their own clubs, that‘s totally normal as well! But then again, I think of that young woman and wonder: When will I be „too old“ for the young people? Currently, Detlef and I can be described as middle-aged. We are accepted by people of all generations and are invited to dance or teach at the „cool“ Milonguero events. But what about 15 years from now - provided that we still dance and teach Tango? Will we then be respected as „old Maestros“ or merely be „uncool“? Will I be still able to choose my partners amongst men of all ages or will I dance in a senior residence with people of my age group? Do not misunderstand me: I‘m not fishing for compliments or self-affirmation. A more radical age discrimination may still work out for me: When all my Tango friends are too old to move, we‘ll simply stand and embrace to the music! But it would be sad for Tango. Would it not? It‘s been some time now since I wrote my last entry in the „European Milongueros“ series. There‘s been so much work plus the organisation of our Festivalito con Amigos, that kept me from blogging. Well, the workload has not decreased, but now I write anyway, whilst the day is dawning in Montecatini Terme, where we are teaching and intensive Tango seminar of one week. And it is here, that you can find two of the finest of Europe‘s Milongueros - although only one of them is Italian, the other... but let me tell you a story in it‘s chronological order. And please forgive, if it sounds like fairy tale or if it sounds like bragging - but this is just what happened. Francesca Bertelli is an Italian, who moved to the USA many years ago to finish her studies in „History of science“. This intelligent lady, who even knew Umberto Eco personally (how I envy her!) ended up in New York, where she fell in love with Tango after the new Millennium had started. I don‘t think, that she had ever planned to become a teacher, but she started organising workshops for travelling Tango teachers, often assisting them in their classes. In 2006, the first time we visited, New York was a great place to be and there where a lot of Milongas. But it was also a bit of a mess with too many cooks spoiling the broth. Each of the competing teachers (resident and visiting) pulled the dancers into another direction, very often not connected to social dancing. The result was quite some chaos on the dance floors! Francesca decided to speak to the needs of social dancers and started organising classes with well-known Milongueros/as like Monica Paz, Gustavo Benzecry-Saba & Maria Olivera and Raul Cabral. And us. Actually, we‘ve been the first teachers, that she contacted actively. From that moment on, we never had to worry about work in New York - our new friend took care of everything. Francesca really is a talent when it comes to advertising and organising. And the New Yorkers soon appreciated her work. They knew: Any teacher who is organised by Francesca would give them valuable insight in the way how Tango is danced in a social and traditional setting. So the classes were always full and „her“ teachers invited to perform at all the important Milongas. Change of scene: A traditional Milonga in Buenos Aires. Antonio Martinez is a well known Milonguero at all the traditional places: Cachirulo and other organisers give him the best seats and he is appreciated as an excellent dancer by local Milongueras and those who visit from afar. As for example our friend Paule of Lyon. She spends half of the year in BA and this is where she met Antonio. When dancing with him, she was surprised: somehow he was different. His dance reminded her strongly of Detlef. The next time she met us in France, she told us about this Milonguero. This was in early 2009 and during this year, several other friends mentioned this guy. The last one was Francesca, who met Antonio and asked him, if he knew us. Indeed he did! He had spend hours and hours in front of the computer, watching our videos on Youtube, figuring out what we do. When he heard, that Francesca knew us personally, he was overjoyed and they started talking... and dancing... and fell in love... it was amazing and we could not believe it! Francesca just told me: The fact, that he - an Argentine Milonguero - was interested in our dance, showed her, that he was an open minded person. It was one of the main factors, that made her think: "That's a real cool guy!" And from this moment on, everything went really fast: They decided to marry and move to Italy. Originally, They had thought about Antonio moving to New York, but - alas - the American immigration laws! And staying in BA was no option because of the economical situation. So, Europe was lucky! When we met Antonio for the first time in November 2009 in BA, he was already preparing to leave Argentina. Dancing with him, I felt, what all of these women had been talking about: he really danced a little like Detlef, particularly owing to some typical movements, that we use a lot. Apart from these small similarities, he of course has a very personal style with a great embrace, always taking care of his partners on the dancefloor. A real Milonguero! In July 2010, the newlyweds moved to Montecatini Terme, a beautiful spa in the Tuscan mountains - Francesca‘s hometown. A week later they already visited our „Festivalito de los Angeles“ in Germany. This was the first occasion, that Antonio ever set foot into a non-argentine Milonga and we I even had the pleasure of performing a Tango with him. Within the next months, Francesca‘s organising talents and connections proved to be priceless: in no time, the two set up classes in Montecatini and Florence, co-operating with the Italian Tango-clothes label Pepitango. Antonio started teaching and DJing in different Italian towns and even better: In April 2011, this year, they organised the first Montecatini Terme Tango Festivalito, that was visited by dancers from all over Europe. Since then, they‘ve been busy forming a community of Milongueros in their home region and travelling to Germany and the UK to teach workshops. Or just dancing at the Encuentros in Europe. They are really building up a reputation as excellent teachers, great dancers and reliable, warm-hearted people. ... and this evening, we‘re going to meet Antonio & Francesca at a Milonga. I‘m really looking forward to it and to many more occasions! - Final dance of the "Amigos" during the FCA 2011, just acouple of days ago. Including Antonio & Francesca. Whilst we've been dancing at our Festivalito con Amigos or discussing the outcome of it, the world kept on turning. Irish travellers are being repelled of their homes, Greece is in a state of total chaos, Serbia and Kosovo are on the verge of a new war, German government is using trojans to spy out people... and everywhere there's hunger, recession and suppression. Tangueros tend to forget or ignore the reality around them. They get all revved up about a DJ, but walk past the beggar on the street. They fall in love with that magic last Tanda, but forget about their partner at home. Many Tangueros live in an alternative reality. Unsually, I try to read the news online twice a day, but in the last week, I did not manage. That makes me feel weird. I know, that I cannot influence a lot, if at all, but at least, I don't want to be ignorant. Tango is a very important part of our lives, it is a wonderful thing, but let's not forget, that it is only a dance. It is not salvation. The event was organised by Alja Ferme and Saso Zivanovic, two young dancers from Slovenia with the help of some good friends. Not all of them are of the same nationality, but we call them the „Slovenian gang“. I am going to write more about Alja and Saso soon, as they will be presented as „European Milongueros“. The Festivalito took place for the second time, this time being far more international than last year, when most of the participants were Slovenian or Italians. Italians can be considered as „locals“, Trieste and Udine not being more than 2 or 2,5 hours of drive from Celje. So please note: Slovenia is NOT situated in the far east of Europe and easily accessible by car, train or plane! Celje is a smallish town set in a beautiful countryside on the foothills of the Alps. There seems to be a nice city centre, but we did not have the time to visit - as usual. We stayed in walking distance of the Festival locations: a youth centre and hostel, where the Milonguitas and the classes took place and Club Terazza on the top of a commercial building. They were in 3 Minutes walking distance and both not more than 5 Minutes walk from our hotel. This was perfect! The Margaritas in Club Terazza are notable as well: Do not drink more than one or your axis will suffer severely. There were three main Milongas and two afternoon Milonguitas. The Friday and Saturday Milongas went quite late - we always had to go before the end because of our classes on the following day. But as I heard, they stopped around 5 in the morning. Some of the class participants were thus in rather bad shape. ;-) The Sunday Milonga was set in the afternoon until after 8 p.m..
Ok, let‘s get to the DJ‘s: Alan Spotti (Italy), Theo Chatzipetros (Greece/Italy), Andreas Wichter (Germany/UK), Lampis Zalavras (Greece/USA) and Taskin Deniz (Turkey/Germany). The country before the slash refers to the country of origin, the one behind it to the place of residence. So, we‘ve had a quite international crew of DJs. I have already described Theo‘s DJing in one of the last posts, and I cannot comment on Taskin‘s music, as I have never heard him DJ. This time, I did not either, as he was doing the welcome Milonguita on Friday. I did not visit it because I had to rest after travelling. I did not visit the Saturday Milonguita, as we were teaching on Saturday afternoon, but I can tell, that Andreas prefers a rather energetic, rhythmical set of music. He will surely have played D‘Arienzo, Laurenz and Troilo, mixed with some lyrical elements like Di Sarli con Podesta or Rufino. But you‘ll have to ask someone else about his specific performance during the Festivalito Rural. Alan Spotti! What can I say about him? He‘s one of the nicest guys and dancers in northern Italy and always a great pleasure to watch - especially when he‘s dancing in Flip-Flops! I‘ve heard him DJ several times and always liked his well balanced choice. But I cannot write so much about his job at the Rural, as I came very late and was super tired. I noticed, that people danced a lot and I remember Lynn telling me, that she liked the Friday Milonga most. So he‘s definitely done a very good job. Lampis Zalavras DJed on the Despedida and played a calm, sweet selection of music - just the right choice for the last Milonga of a Festival. People were happy. We will have him for the Despedida on the FCA 2011 and I am very much looking forward to his music. Saso and Alja‘s focus is on bringing social Tango in a close embrace to their friends. This is why they decided to combine teaching and dancing on this event. Many people show up for the Milongas only, but the classes were fully booked with each 15 couples. We (Detlef & I) were teaching a series of intensive classes - 4,5 hours on Saturday and 3 hours on Sunday, focussing on the basics: quality of embrace, harmonic movement and musicality. We did a short demo on the Saturday Milonga and Detlef got a very special parting gift: a vintage iron! He will hold it in honour and was pleased, that they did not choose the other option: a vacuum cleaner. (Facebook friends will understand the meaning of these gifts.) But I have to scold our friends: Why did Detlef receive a gift and me not? He? (OMG what have I done, now I will receive dumb-bells or running gear next year...) As for out demo itself: Most of you will know, that Detlef does never know the music in advance and I choose it for us. This time, I asked my friends on Facebook and Andreas came up with „El Morochito“ by Rodriguez. So Detlef was lucky, because he‘s a big fan of Rodriguez. He was not so lucky with my choice for the second Tango, as I picked „Pampero“ by Fresedo. Normally, we do not dance Fresedo together, as we‘ve got different ideas about the interpretation of this orchestra. But this Tango was quite non-ambiguous, so we did not embarrass ourselves. The last dance was „Lirio Blanco“ by Canaro. I just love those slow Valses! Well... you could of course have visited the countryside or Celje.... but I do not think, that anyone spend time outside of the Festival venues. This was purely dancing. So, extra activities: recovering from dancing! I already mentioned the fact, that the crowd was much more international than last year. Apart from the Slovenian and Italian dancers, there were visitors from Austria, Australia, Germany, the UK and the USA. Age-wise this is a younger event, mostly people from 30 to their early 40‘s, but you could find all age groups. The level of social dancing was quite high and everyone enjoyed the close embrace. For me, this was one of the few events in the year, where I am invited to teach and dance amongst close friends. Some of my favourite dancers were there as well. I am sorry, that I could not dance with them more - being too exhausted from teaching. But I will surely not forget sitting on the roof terrace on a sunny Sunday after class, looking onto the hills and mountains that surround Celje, drinking a Margarita or two and chatting with Theo, Philippe, Francesco, Deborah and other friends. It felt like home! There will be a 2012 edition with the same concept, teachers (us) and locations in 2012. Do already note the date: September 7-9, next year. I have to add, that this is a small event, and will stay one. In order to guarantee the quality, Saso and Alja want to keep it intimate with no more than 100 visitors on the Saturday Milonga. Most vistors are planning to participate in 2012, so you‘ll have to book very early to get one of the last free spots. We are looking forward to another great event with friends! This is one of the posts, with which I will attract the enmity of colleagues and consumers alike, as I am about to break an „unwritten law“ of the Tango community: Do not criticise a a fellow teacher! A couple of moths ago, I complained about the lamentable dance-quality on dancefloors as a result of the teaching of „non-social elements“. I then just spoke in general terms, not mentioning any teacher in particular. (Have a look at my earlier post.) But now, an event of Facebook made my hair stand up and my blood boil. Are they making fun of the clients? Do they really believe, that a random bunch of Florentine dancers - some of them surely over 50 and the majority of the group in mediocre physical shape - will be able to execute such movements correctly and nicely? Or is this a mistake in labelling and the classes are really meant for very advanced young dancers wanting to perform professionally? Seriously, I am convinced that all teachers, especially those who are believed to be the „ambassadors“ of Tango, bear responsibility for how Tango is danced in the Milongas. Over the last years, a broad understanding was formed within the Tango communities, no matter which style they prefer: Most people will nowadays agree on the assertion, that stage Tango elements should be no part of the teaching for social dancers and that an excellent technical basis is required to attempt more complex or even athletic movements. If kicking and jumping is to have a comeback in beginners and intermediate classes - then we are really doomed! I did not want to critisise ALL classes - I just wrote down the whole list of contents as they were presented in the announcement. Quality Movements may be a nice class - if they do not just show steps. And Sacadas in turns are an appropriate content for advanced dancers. So, 2 out of 5 might be ok. But is this good enough? Those who read my blog on a regular basis, may imagine, that I was looking very much forward to this event. And although we almost never combine work with sightseeing, in this special case we arrived a couple of days earlier to enjoy the magnificent and variable landscape or Romania. This is why I cannot stop myself and must give you a short report of our crazy tour from the Walachian plains, over the Transsilvanian mountains to the seaside of the Dobrudscha. Next stage went over the Transfagaras road to Sibiu in Transsilvania. Although I was rather worried to break our rented car on that never ending winded path with enormous holes in the ground, I was so much impressed by the view, that I do not regret our choice. I have surely never been so high up a mountain and the views were perfectly stunning. We finally arrived at the hotel, tired and hungry as a traveller in earlier times may have been but all of this was so amazing. I have to come back with much, much more time! The Encuentro took place in the Hotel Central in Mamaia, the seaside resort near Constanta at the Black Sea. You could actually see the sea from the open-air dancefloor and a steady breeze was keeping us cool during hot dances. The dancefloor was set at the pool and outside restaurant, so you could have even taken a short swim during Milongas. We restrained ourselves, but had lovely meals with grilled meat, fish and salad at the beginning of the Milongas. The hotel itself was simple but perfectly functional - and what more can you ask, then to jump out of bed directly into the sea or to the Milonga! Ideal! There were three Milongas, two late Milongas from 22.00 until dawn on Friday and Saturday and the Despedida on Sunday, that started earlier and went until 0.30. People showed up rather late and our hosts explained, that this was the custom in Romania. All DJs presented traditional music in Tandas and Cortinas. The opening Milonga was DJ‘d by Ramona Budui. I was still suffering from sore muscles (the 1480 steps! ), so I chatted most of the time and left the Milonga early - unfortunately during a Tanda of beautiful Di Sarli with Pomar... Maybe I should have stayed longer. Ramona definitely made a choice of perfectly danceable music - apart from one Fresedo Tanda, that started rather hollywoodesk-dramatic and ended up being very sweet - too late as I had already refused an invitation. Oh... and then I forgot to mention, that Ramona of course played her signature Vals: "Ramona" by Biagi. Almost nobody does this nowadays - but I love that song! On Saturday evening, Theo "El Greco" Chatzipetros was DJing. He is residing in Italy and a well known DJ at the traditional Milongas or Encuentros all over southern Europe. He DJs regularly at the Milonga in Impruneta near Florence - a must-go for all Milongueros. Theo is one of my favourite DJs and confirmed his reputation by playing the most beautiful choice of Tangos - lyrical and rhythmic music in a harmonic balance. I stayed until 4 in the morning and heard the rest of the music (until 7 a.m.) from my bed. Which actually annoyed me in the end, as I wanted to sleep very badly, but this was not Theo‘s fault. Next time, I‘ll get a room facing to the other side. Detlef stayed until the end and we both were pretty knackered the next day! The Despedida was DJ‘d by Philippe Gonella, whom I have already mentioned repeatedly, both as a dancer and DJ. I was very much surprised by his unusual choice of highly dramatic music, sporting Tandas by very late D‘Arienzo (Este es el rey - a no-go!) and Varela. He usually plays much older stuff.... I will ask him about it! We (Detlef & I) were teaching only 4 classes, as we had decided to not work so much as usual - wanting to make up for our „lost“ holiday. I additionally did a class on „music and musical design“ for DJs and dancers. All classes were fully booked by a young and very active crowd. It was fun working with such spirited dancers! The workshops took place in a Salsa studio downtown Constanta, which was quite a drive. Next year they plan to have the classes on-site as well. That‘s obvious, insn‘t it? Beach time! You may also visit Constanta but most people spent the days sunbathing, swimming and resting. Although the majority of the dancers were young people from Romania, there were some „travellers“ as well: Germans, Italians, Swiss and I think also some Turkish dancers. The attendance was a little lower than expected, but the ambiance made up for that. All people were very friendly, open and eager to embrace Tango and the world. Just as it should be! People were actually enthusiastic and one dancer from Italy remarked: Tango, the sea, the lights... this must be heaven! I was personally pleased to meet Philippe, his partner Renata, Theo and a another nice dancer from Italy, Massimiliano. We also made some great new acquaintances, not to forget our hosts Ramona and Ionut. So we were lucky to work and dance amongst friends! There will be a second edition next year in June, 8-10. Most likely, it will take place in the same hotel, but they will change the location of the dancefloor slightly - nearer to the covered area of the restaurant in order to get out of the windy zone and create a more intimate ambiance. We have already been invited to teach again and will do some more hours, probably with a fixed group of dancers. So there will be no option to book single classes - this assures an intensified learning and working experience. I am confident that the number of participants for the Milongas will increase as the word spreads about this lovely first Encuentro de Abrazos in Romania! Now there‘s a guy with whom I bonded instantly. Why? Because he‘s got an opinion and he‘s not afraid to show it. The first time I met Philippe Gonella was when he was taking one of our classes in 2007 with his former partner Céline (see last post). And although he seemed to share the same idea of Tango, he was really suspicious, when we introduced some of our basic principles. You could not tell, if he liked them or not. He was kinda grumpy and I somehow appreciate it, when people have got a critical approach to what teachers tell them. Also the fact that he left the room, when we were doing our demo. He later told me, that this was not meant to criticise us, but he just did not like performances. Ok, I don‘t like them either, so I can accept that. So who‘s the guy, who changed from Mr. Grumpy to Señor Abrazo in an instant? Philippe Gonella originates from Grasse, France, where he met Tango more than 11 years ago. He co-founded Cariño Tango with Céline Devèze and took up teaching and DJing. And very early, it it became clear to him, that Tango was neither the acrobatics of Tango Escenario, nor the moves of Tango Nuevo - Tango was what was danced in the traditional Milongas in Buenos Aires. His first visit of Buenos Aires confirmed him in his beliefs and he came back with the aim to establish a real Milonga with all the „reglas“ in his home region. And so the „Milonga Linda“ became one of the first traditional Milongas in the south of France: women seated separately from men, traditional music with Tandas & Cortinas, invitation solely by Cabeceo & Mirada, respecting the codes of the dancefloor... these were Philippe‘s primary objectives. But Philippe is really not a man of compromises. So in 2009, he decided to close his firm (he was an electrician installing heatings and A/Cs), sell his equipment, sports-car and boat, rent out his house and live in a Caravan. He just wanted to Tango: to drive - like a gypsy - from one Milonga to the other, from one Festivalito to the next Encuentro Milonguero. And this is exactly what he does since then: dancing at the Milongas (mostly in Italy), DJing a lot, teaching here and then, meeting friends, having fun and great meals... Sometimes I envy him, if it weren‘t for the frugal living in his VW bus. Well, it suits him and Gitango is the name he chose as a DJ! As a dancer, he chooses the women for their quality of embrace, not for her technique or intricate decorations. He once told me, that the sole reason he invited me to dance for the first time was not because I danced good or was a teacher, but because he could read the emotions on my face. And since them, he‘s become my favourite dance partner for slow Tangos by Di Sarli. We will not move a lot, but feel and play the music with tiny shifts of weight or steps in slow-motion. Sometimes, we will just stand still... His embrace became much softer over the years, allowing for a nice dissociation and organic communication. To enjoy dancing with Philippe, you have to be flexible and relaxed - a woman with stiff embrace and legs will not be able to get the subtle leading impulses. And if you think you can rely on memorised steps, you will be very surprised! His new partner in life and dance is an Italian physical therapist who shares his ideas of Tango and living in freedom. Renata is such a warm and sensitive person, who connects very strongly to her partner. That makes her a perfect match for Philippe. I don‘t want to forget, that Philippe and his friends Paule, Marcel and Renata are organising one of the biggest events for Milongueros in Europe: the „Encuentro Milonguero Les Cigales“. It takes place in early summer and boasts 3 days of dancing to the best DJ‘s choices, respect for the „codigos“, common meals, time to spend with friends - the epitome of savoir-vivre in France! - The first shows Philippe dancing with me at the first Festivalito con Amigos in Saarbrücken. See how the other three couples are racing along the dancefloor, compared to our slow moves. ;-) You can in this video also watch Andreas and Céline dancing together, the honourees of the last two posts. - The second video is of a recent demo with his new partner Renata Lacchini in the „Contatto Club“ in Spinea, Venice.